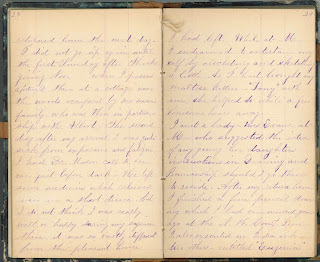 "I had Dr. Mason call to see me first--before dark--He left some medicine which relieved me in a short-time, but I do not think I was really well or happy during my sojourn there. It was so vastly different from the pleasant home I had left. While at Mo__ I endeavored to entertain myself by crocheting and sketching a little. As I had brought my maltese kitten--'Tony' with me, she helped to while a few lonesome hours away." This quotation appears in a diary we just acquired by Harriet Burleigh Janes. Janes was a Laconia, New Hampshire, native who wrote fiction under the name Effie Ray. 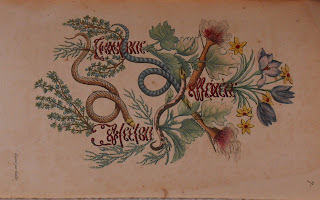 Born May 27, 1845, Harriet Burleigh was writing and illustrating hand-sewn miniature books by the age of seven. At 18, her work was in print; A Letter From Effie Ray was published in the Trumpet and Freeman: A Universalist Magazine in 1863. Over the next several years, her short stories appeared in The Yankee Blade and The American Union. She was working on a novel, Leander, or The Haunted Manor, at the time of her death at age 30. 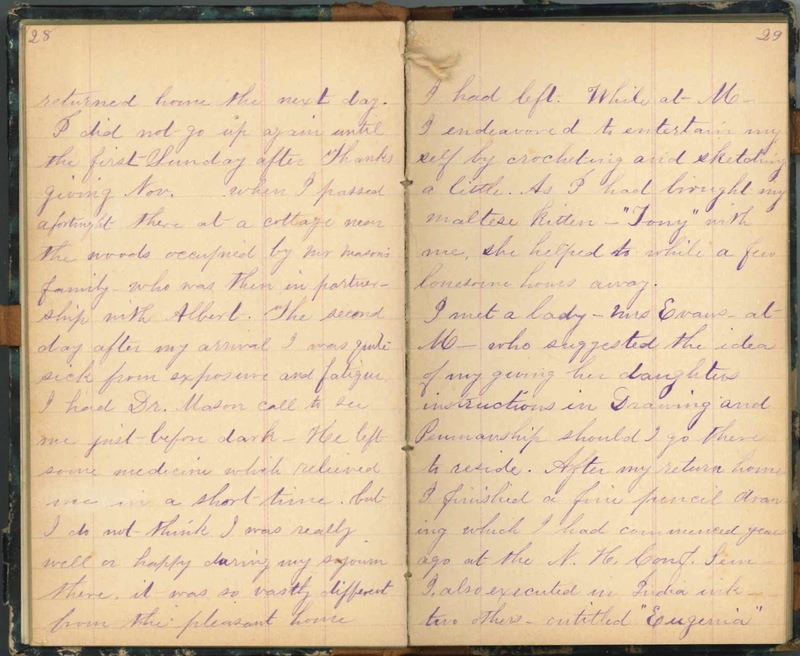 The diary will join her papers housed in Rauner Library. 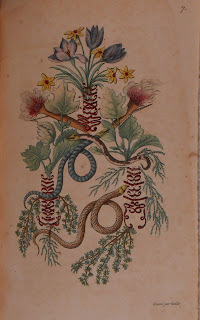 The collection includes her miniature books, drawings and other manuscripts. Perhaps the most curious part of the collection is the "spirit writings," many purportedly by Harriet Janes, that her grieving family received after her early death. 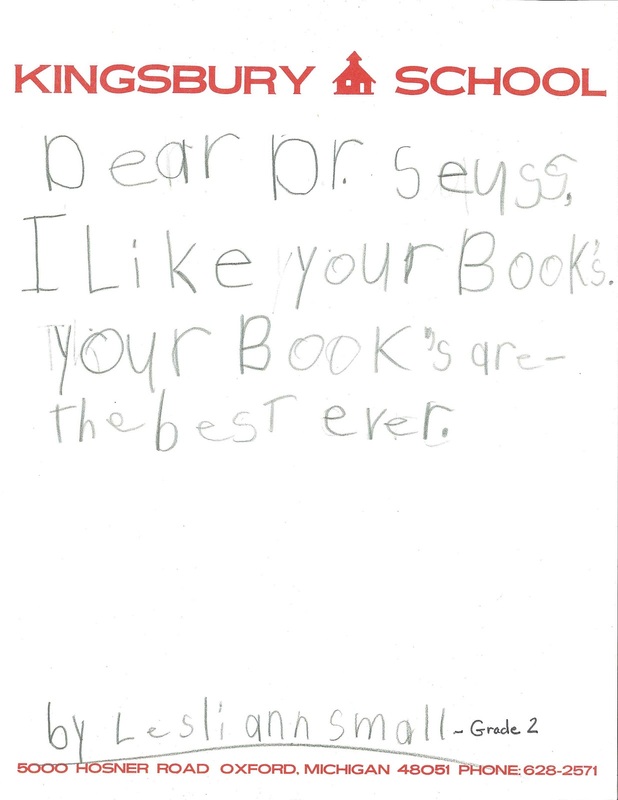 To learn more about this little known writer, ask for MS-844. We have a strong collection of emblem books that try to create a visual vocabulary of classical themes and emotions and we also have another collection that documents 19th-century calligraphy. 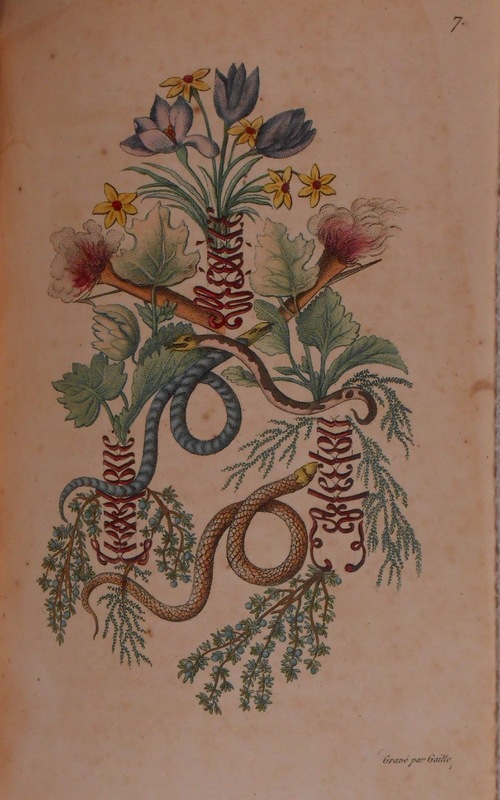 So, you can imagine how pleased we were to find this little gem of a book, Arabesques mythologiques (Paris: Charles Barrois, 1810) which combines the two ideas in one. 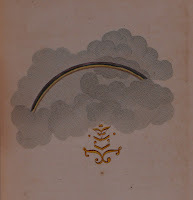 Illustrated with 54 hand-colored emblems representing the characters of Greek and Roman myth, the book was a kind of primer for children to learn the classical gods and the myths surrounding them. The visual clues create more lasting memories than text alone and each emblem tries to capture the essence of the actors. 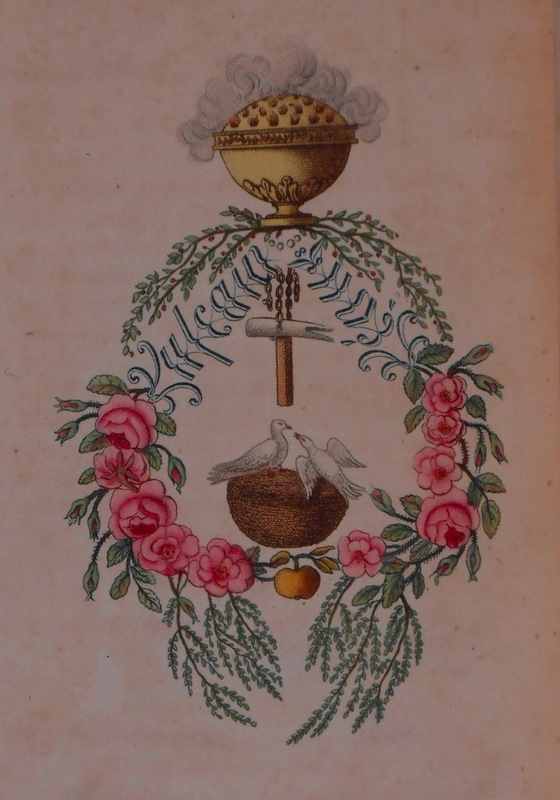 But, unlike other emblem books, there is text intertwined into each image. Turn them sideways, and you find the names beautifully scripted into the images--each is an elegant design loaded with cultural meaning. Ask for Rare BL725 G4 1810. George Fellows was a local photographer who was most prolific in the late nineteenth and early twentieth centuries. 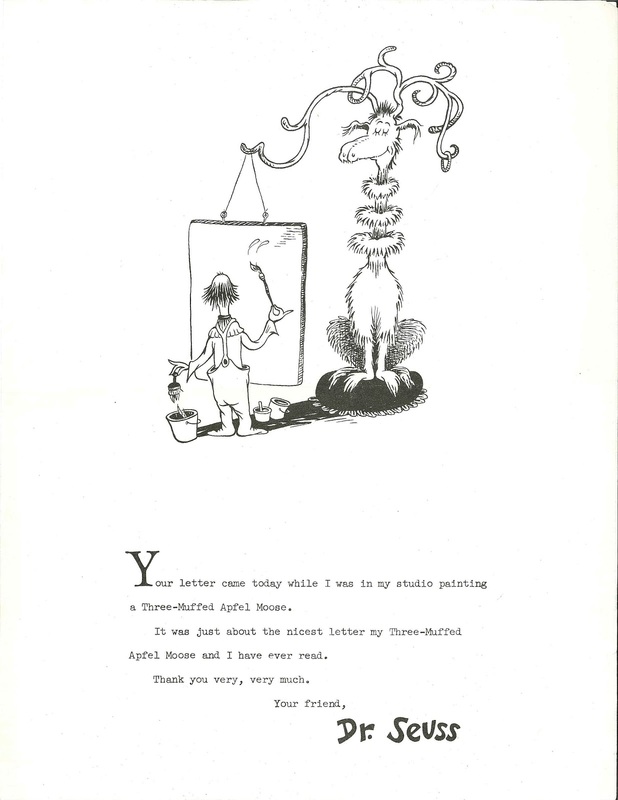 He owned at least three studios in the Upper Valley area - one in Royalton, VT, another in White River Junction, VT and a third in Claremont, NH. The studio in White River Junction (pictured in the photograph of South Main Street) operated until his death in 1916. Not much is known about Fellows' origins, though it is thought that he may have originally been from Charlestown, New Hampshire. 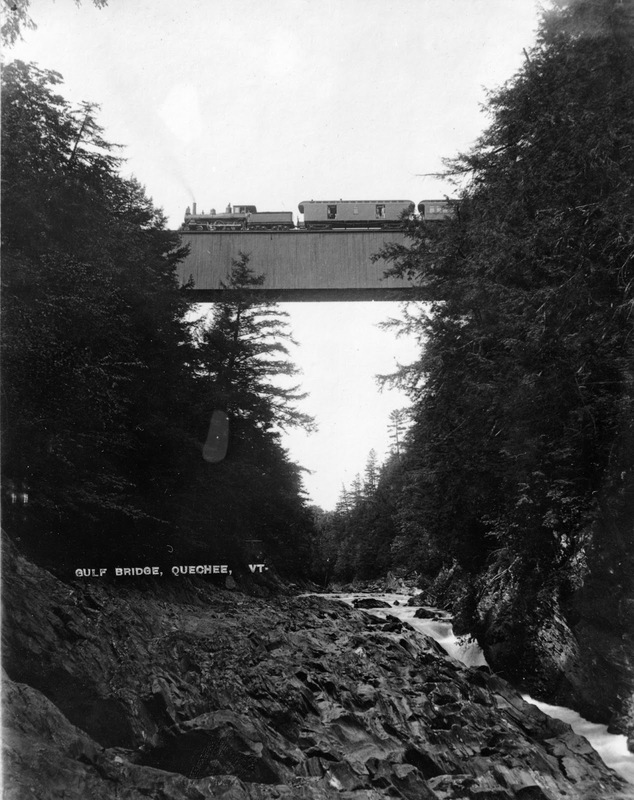 Rauner Library holds a significant collection of over a thousand early twentieth-century negatives taken by Fellows of the surrounding area. Most of these are dry gelatin glass plates, though a small number are on celluloid. 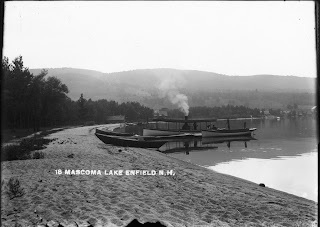 Towns represented in the collection include Canaan, Enfield, Lyme, Orford and West Lebanon in New Hampshire and Ascutney, Fairlee, Norwich, Royalton, Sharon, Thetford, Woodstock and White River Junction in Vermont. The images are typically labeled by place name or building and occasionally include a specific date. 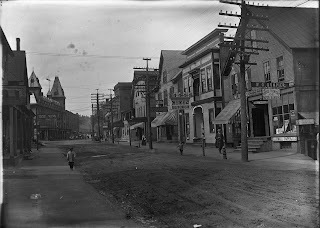 They provide a rich visual record of this small section of New England at the turn of the last century. Ask for Iconography 1513. While the glass plate negatives are available for viewing, they are extremely fragile and we encourage patrons to ask for the modern (and much less fragile) study prints for extensive study and image selection. 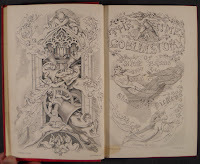 Published on December 21, 2012 January 3, 2013 Author Rauner LibraryLeave a comment on Not "A Christmas Carol"
Everybody knows the classic tale of Ebenezer Scrooge and the three ghosts of Christmas whose visitations cause the former miser and all around misanthrope to reform. 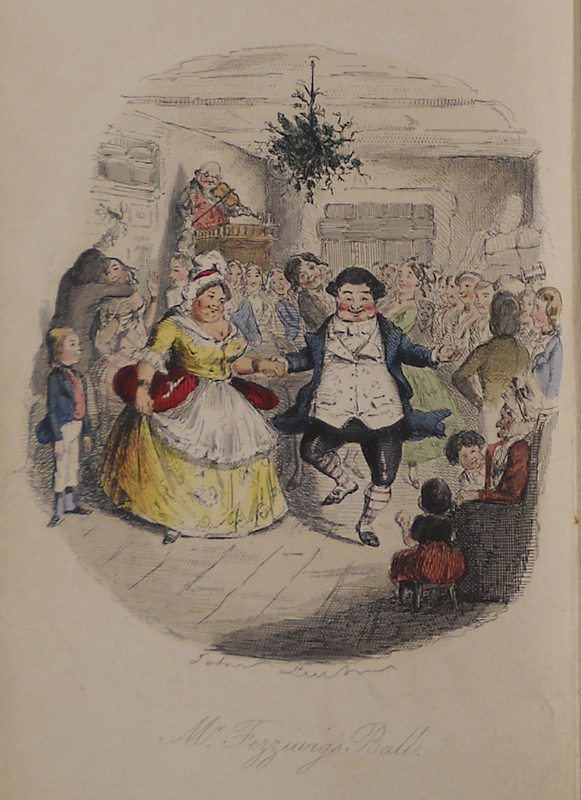 The other novellas of Christmas penned by Charles Dickens have not stood the test of time as well, perhaps due to lack of such memorable characters like old Mr. Fezziwig. 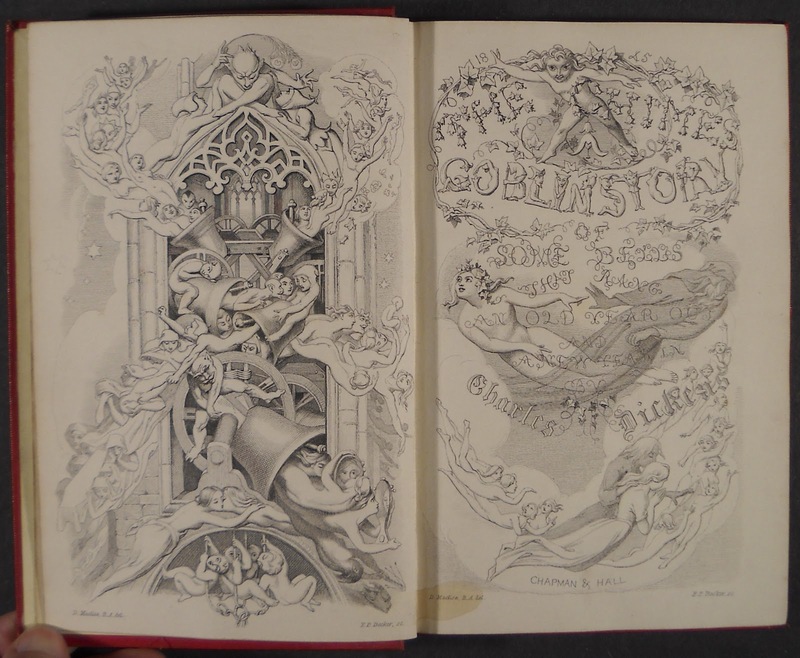 The first followup to A Christmas Carol (London: Chapman & Hall, 1843) was The Chimes (London: Chapman and Hall, 1845). Despite the inevitable happy ending, this story is a bleaker, more pointed critique of social issues of the 1840s. The goblins in the tale offer the main character glimpses of his family's potential future - each an illustration of how seemingly good people can become trapped in a cycle of evil. 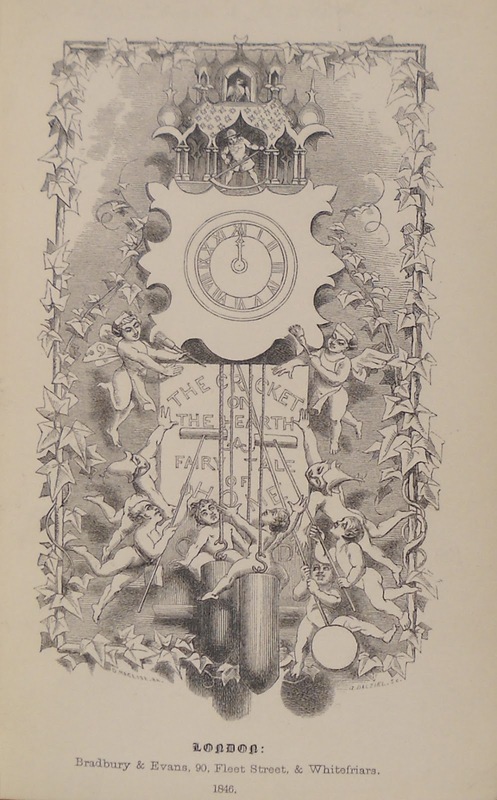 The Cricket On The Hearth (London: Bradbury and Evans, 1846) is the third in the sequence. After several trials and tribulations, the spirit of the hearth cricket reminds the various characters of their potential for good and the futility of suspecting the worst of others. 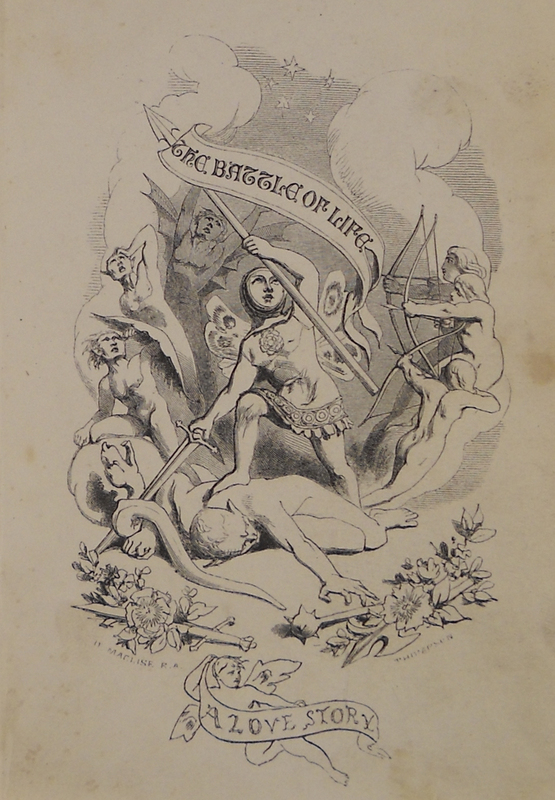 The Battle Of Life (London: Bradbury & Evans, 1846) omits the supernatural elements of the first three tales and instead focuses on the selfless acts of the daughters of the cynical Doctor Jeddler. 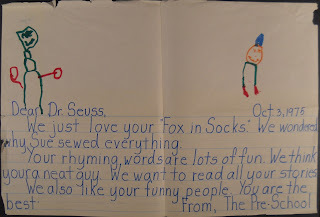 Their devotion and caring brings about a change in his view of the world. 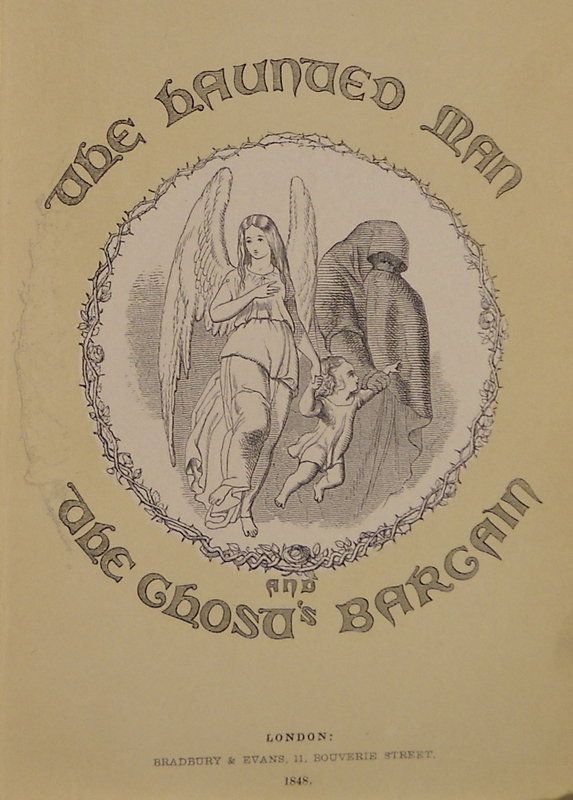 The final novella is The Haunted Man And The Ghost's Bargain (London: Bradbury & Evans, 1848). 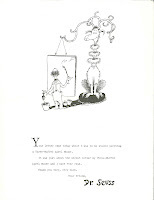 In this story, Dickens reenlists the aid of a supernatural entity to bring about the redemption of the main character whose initial bargain with his ghostly double to remove all painful memories brings calamity on all others he interacts with as they are also shorn of any unwanted thoughts, leaving them thoughtless and cruel. The lost memories and human feeling of all are returned through the inherent goodness of Milly Swidger whose own painful memories are the source of her benevolence. 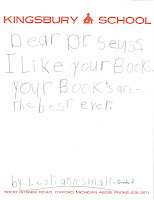 Ask for Rare Book PR 4557 .C58 1843 (A Christmas Carol), Rare Book PR 4557 .C5 1845 (The Chimes), Rare Book PR 4572 .C78 1846 (The Cricket On The Hearth), Val 826 D55 O53 (The Battle Of Life), and Rare Book PR 4557 .H3 1848 (The Haunted Man and The Ghost's Bargain). Published on December 21, 2012 January 3, 2013 Author Rauner LibraryCategories Rauner Special Collections LibraryTags Literature, Rare Books, Special CollectionsLeave a comment on Not "A Christmas Carol"
Like the rest of the country, we have had school children on our minds this week. 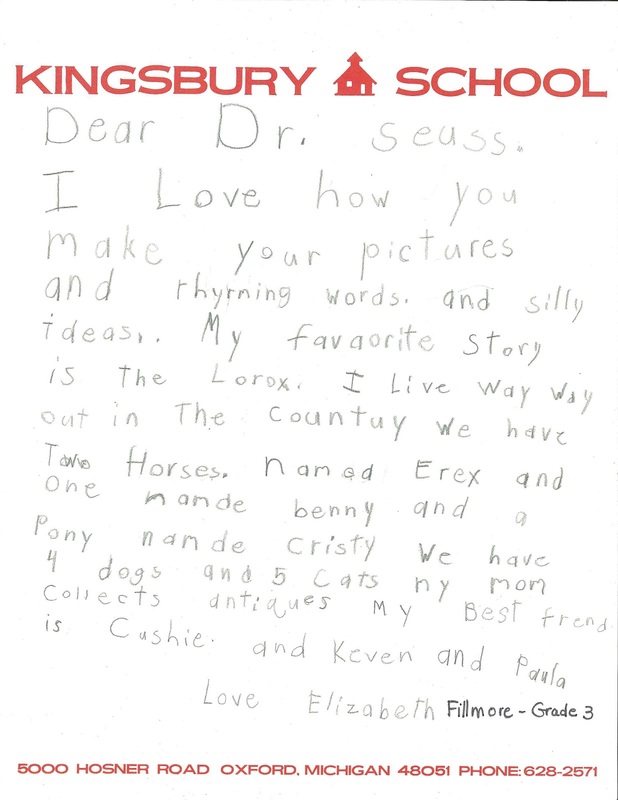 We were reminded of a batch of very sweet letters in our Ted Geisel collection addressed to Dr. Seuss. 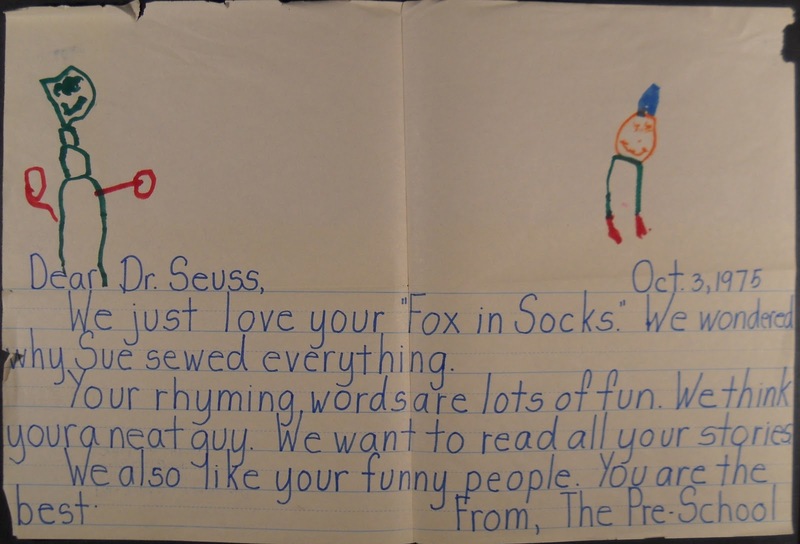 It seemed like a good time to share a few, as well as one of Seuss's replies. 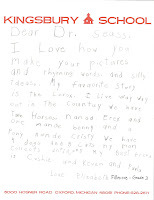 To see all of the letters, ask for MS-1100, Box 1, Folder 8.